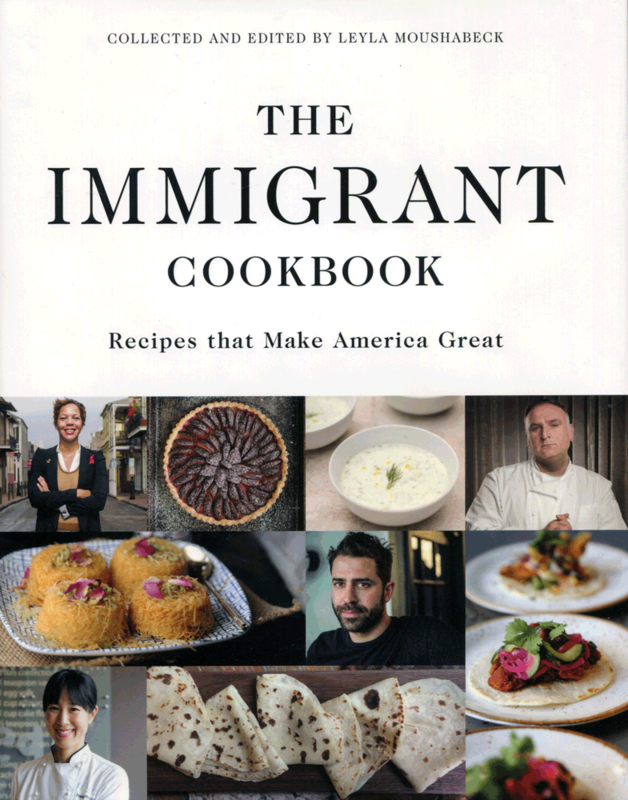 A diverse bounty of recipes by immigrant chefs from around the world, including Reem Assil, winner of the Barbara Lubin Hell Raiser Award, 2018. More than 42 million people living in the United States came here from other countries. Since its beginnings, America has been a haven for people seeking refuge from political or economic troubles, or simply those in search of adventure and prosperity in a land where opportunity is promised to all. These émigrés, from every corner of the world, helped make America great long before the 2016 election. Along with their hopes and dreams, they brought valuable gifts: recipes from their homelands that transformed the way America eats. What would the Southwest be without its piquant green chili pepper sauces and stews, New York City without its iconic Jewish delis, Dearborn without its Arab eateries, or Louisiana without the Creole and Cajun flavors of its signature gumbos and jambalayas? Imagine an America without pizza or pad Thai, hummus or hot dogs, sushi or strudel—for most people, it wouldn’t taste much like America at all. In these times of troubling anti-immigrant rhetoric, The Immigrant Cookbook: Recipes that Make America Great offers a culinary celebration of the many ethnic groups that have contributed to America’s vibrant food culture. This beautifully photographed cookbook features appetizers, entrees, and desserts—some familiar favorites, some likely to be new encounters—by renowned chefs from Africa, Asia, Latin America, the Middle East, and Europe.